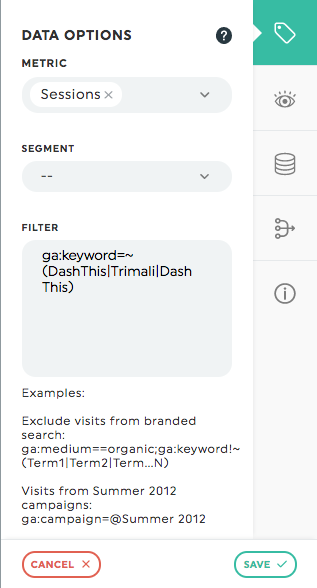 How to create a branded or non-branded Google Analytics filter? One of the most frequently asked questions we get from our users is how to create a KPI that shows branded or non-branded performance. This could be used for a Leads KPI as well as a Visits, Bounce Rate, Transactions or any metric you have in mind. This is particularly useful for those SEO agencies who need to demonstrate the value of their work. This can be done using Google Analytics API filters and our Advanced KPI Editor It’s quite simple actually. How to create a dashboard using Google Analytics Multi-Channel Funnels KPIs?